What does income-based repayment for student loans cost? 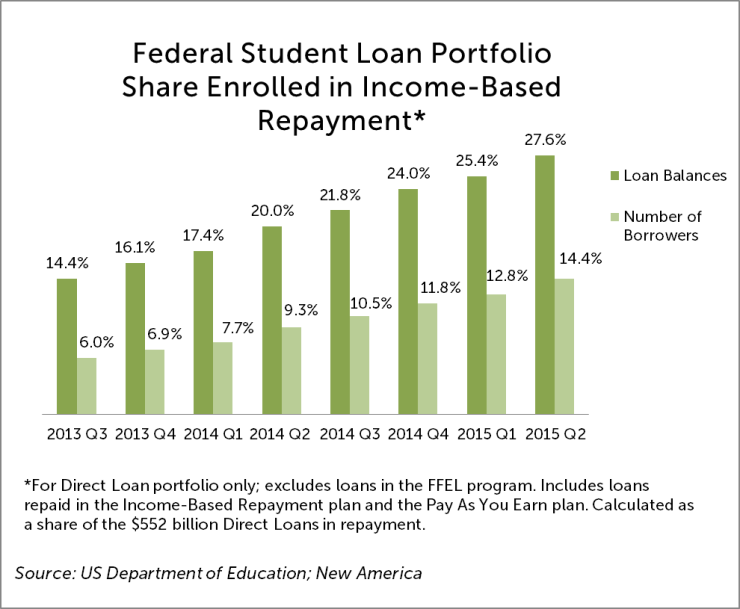 The latest figures are out from the Department of Education and the share of borrowers using Income-Based Repayment (IBR) to repay federal student loans is rising rapidly. It now stands at 28 percent of Direct Loan balances in repayment. Naturally, many want to know what this program costs. That isn’t an easy number to come by, although there is enough information buried in government budget documents to figure it out. IBR (including what the Obama administration calls Pay As You Earn) costs $11 billion annually, according to the government’s official accounting rules for loan programs. 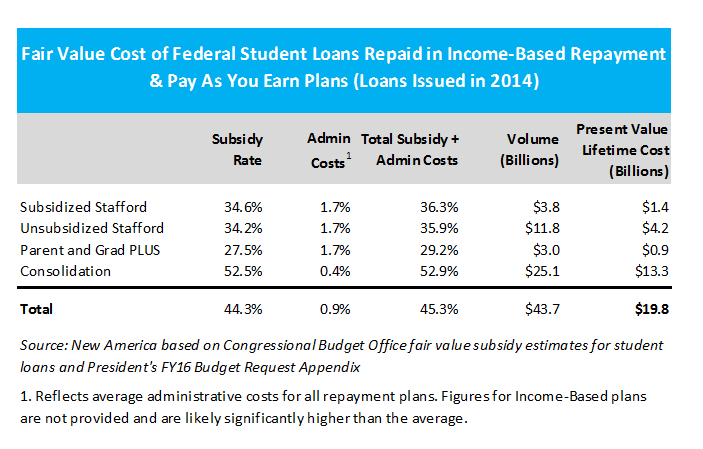 The president’s budget request for fiscal year 2016 includes statistics on the volume of student loans issued in 2014 through 2016 that will be repaid through IBR, or what it calls “income-driven repayment.” For the most part, income-driven now means loans repaid through the most generous IBR terms, payments set to 10% of a borrower’s discretionary income and loan forgiveness after 10 or 20 years. The budget also reports how much on average one of those loans will cost over it’s entire life. That number is a “subsidy rate” which is expressed as a percentage of the amount lent. Similarly, the budget also details what the government will spend to service the loan. 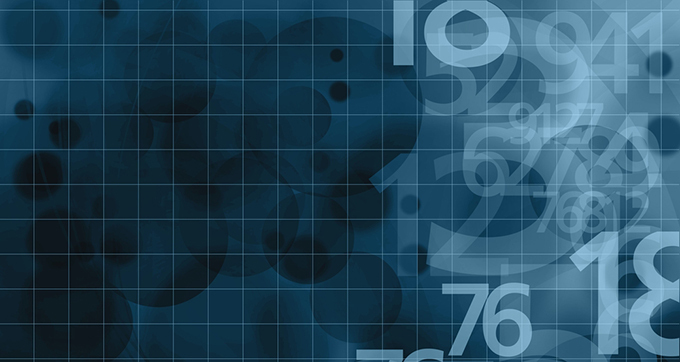 Figuring the cost of IBR is as simple as multiplying the volume of loans repaid through the program by the cost of the average loan, plus the cost to service it. The nearby table details those steps and amounts. One warning about this approach. The Department of Education reports consolidation loans as new loans when they are really loans issued in prior years that borrowers later opted to consolidate. That means old loans show up as new loans in the budget. There’s no way to know from the budget documents whether the costs for consolidation loans should be adjusted downward, or by how much, in light of those reporting practices. The government measures the cost of loan programs on a present value basis, meaning it shows the lifetime cost of the loan as a lump sum in the year the loan is made. That’s different than for a grant program, like Pell Grants, where the cost of the program is the amount of money that leaves the Treasury in a given year. Measuring the cost of a government loan program that way would not meaningfully reflect costs. Making a $1,000 loan today would appear to cost $1,000 today. Next year it would show a gain of $0 as the borrower likely wouldn’t be making payments by then. In short, one-year snapshots of the cash flow from a loan do not show what the loan costs. Instead, the government requires that all of the future costs associated with a loan over its life be shown the year that it is made. The $11 billion figure must be understood in that context. Over the life of the loans issued in 2014, those repaid through IBR will cost $11 billion over their entire duration, expressed in today’s dollars (i.e. discounted to the present). The loans issued next year will also cost about $11 billion over their entire repayment terms, as will the subsequent set of loans made in 2016. The government therefore books a cost of $11 billion for IBR annually. Note that the figures cited above reflect the government’s official accounting rules for loan programs, those spelled out in the Federal Credit Reform Act. The Congressional Budget Office argues that those rules understate the cost of the loan program and recommends adjusting them to reflect “fair value” for a more comprehensive measure of costs. While the CBO has reported fair-value estimates for the overall student loan program many times in recent years, it hasn’t done so for just IBR. That said, a fair-value estimate can be approximated using the information in the president’s budget — which results in the $11 billion figure — and the information CBO has provided in the past about fair-value estimates for student loans. The nearby table details what such an estimate might look like. It suggests that adjusting the official cost of IBR for fair value brings the program’s annual cost to about $20 billion. Whether you prefer the official accounting rules or CBO’s preferred fair-value estimates, IBR’s annual costs are at least $11 billion. Those costs are likely to rise in future budgets as IBR enrollment is growing at a rapid clip. 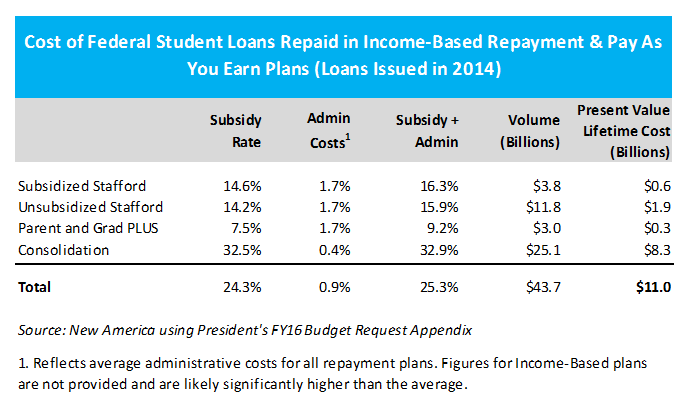 Over 25 percent of Direct Loans in repayment are now enrolled in IBR, nearly double the share in 2013. It also makes one wonder at what point will so many outstanding loans be repaid through IBR that the government’s official cost estimates no longer show “a profit” on student loans.